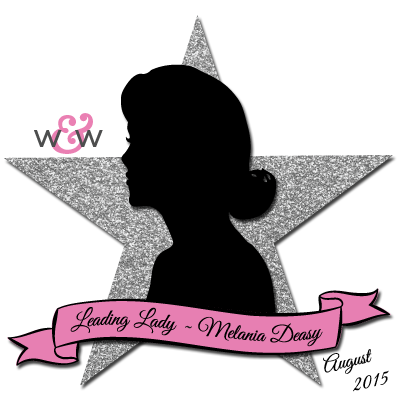 Our August Leading Lady, Melania Deasy is back for her fabulous fourth performance! If you missed her smashing debut you must see it...CLICK HERE or her second performance which showcases her golden touch CLICK HERE or her triumphant third performance where she shakes it up CLICK HERE. You are in for a distinct delight today as Ms. Deasy will stun you with her awe-inspiring coloring skills. And now we present Melania Deasy! Hi all!! 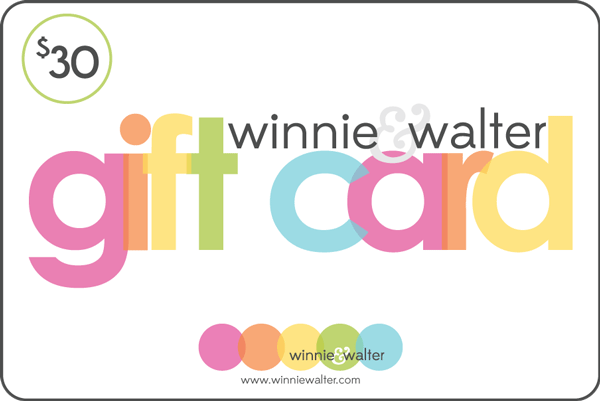 Today I'm so excited to share with you my card for Winnie & Walter August Leading Lady Take 4! 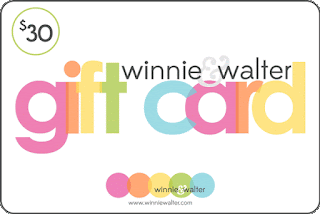 I have so much fun playing with Winnie & Walter. Their products are so unique, versatile and modern. First, I stamp the flowers with Memento Dessert Sand and color it with COPIC B000, B00, B02, BG01 for the blue and BG10, BG11, BG13 for the turquoise. 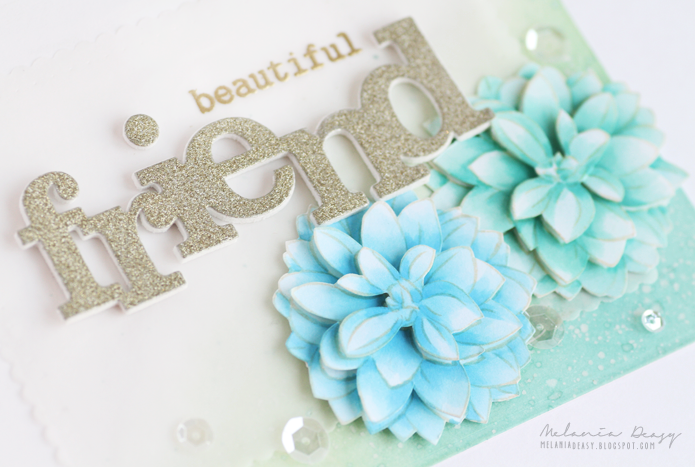 I die-cut the friend sentiment on gold glitter card stock and on a white foam then glue it together. 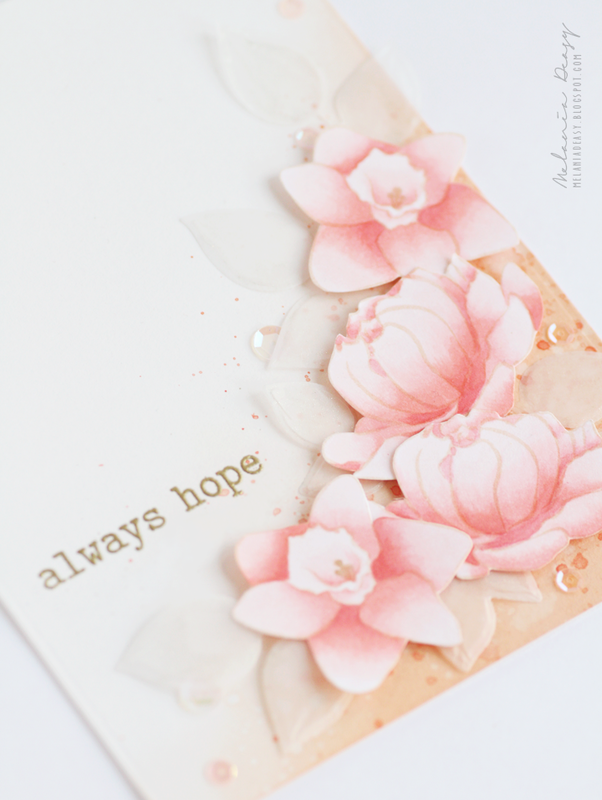 I also die-cut vellum and add beautiful sentiment with gold embossing powder. To make the background, I'm using Dye Ink and blending tool then I splash a bit of water and white watercolor with my brush. For the final touch, I add some sequins. I also stamp the flowers with Memento Dessert Sand and color it with Copic R000, R20 and R32. Then I die-cut the leaves on vellum. To make the background, I'm using Dye Ink and blending tool then splash orange watercolor with my brush. The sentiment is from gold embossing powder and I add sequins for final touch. Wow, those are just stunning! What STUNNING cards. I LOVE how you created the flowers and the backgrounds!! wow... these are absolutely amazing! Your cards are absolutely beautiful!! Your work always blows me away! 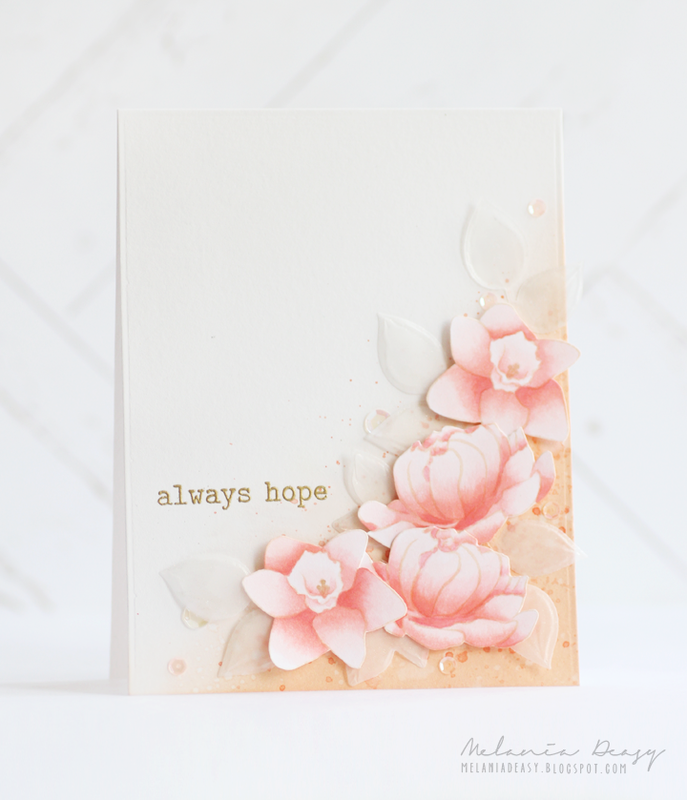 Well, here I am - just Gasping for breath because these are amazingly beautiful and stunningly gorgeous - I am in awe and I am so delighted to see such loveliness in a card - so soft and just exquisite looking!! I am so impressed with you and you have just been AWESOME as a leading lady!! OH my goodness!!!!!!!!! These cards are just way too beautiful!!! As the comments above read: your work is absolutely stunning. These cards are just beautiful. I must say it was my pleasure to meet you as W & W leading lady, and I'm going to begin to follow your blog.......so thank you for sharing your talent with us and I now have something to strive for. You've rendered me speechless and breathless with your stunning cards, Melania! I'm in awe at your colouring; the shading and dimension on the blooms is beyond impressive! Works of art, indeed. You've been a most inspiring, open-my-eyes-to-new-possibilities Leading Lady! Thank you! ABSOLUTELY GORGEOUS cards Melania - WOW - you sure saved THE BEST for last!!! BOTH cards are PURE MAGIC, I feel SO INSPIRED!!! THANK YOU for sharing your ARTISTIC TALENT with stamps, dies, colouring, vellum and DESIGN!!! These cards are so stunning! Simply fabulous coloring!